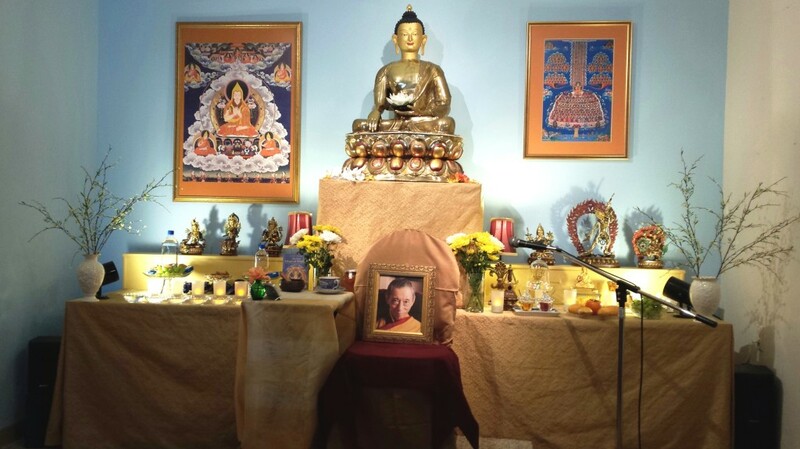 Maitreya Kadampa Buddhist Center offers meditation and modern Buddhism for everyone. 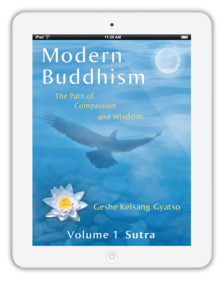 We are members of the Buddhist tradition, New Kadampa Tradition: following in the footsteps of Buddha Shakyamuni, Je Tsongkapa and the teachings of our meditation master Geshe Kelsang Gyatso. We are located in the beaches of Jacksonville, FL, and serve northeast Florida through several branch classes. Only a few blocks from the ocean, just off Atlantic Blvd (I-10) in a small shopping center on Sailfish Drive, near restaurants and hotels, our Center features a beautiful shrine, seating for up to 50 people, and a bookstore and reception area where we enjoy tea, snacks and conversation after class. Hours: We are generally open only at class times: Sundays 9:30 – 12:00, Mondays 6:45-8:15 pm, and often on Saturdays for special events (Consult our CALENDAR for latest schedule). The best time to visit is for a class, when you can observe a teaching and meditation, and browse our bookstore or discuss over tea afterwards. Our program includes classes on how to meditate, General Program Classes on a range of topics, more advanced Foundation Program and Teacher Training Program classes, pujas (chanted prayers and meditations), retreats, workshops and day courses on practical application of Buddha’s teachings in daily life. Our doors are open to everyone regardless of background or differing religious affiliation or tradition..